Christine Lagarde of the International Monetary Fund is one of many who believes that under the leadership of Prime Minister Narendra Modi, India has improved rapidly and is on the right track. International recognition is one aspect but what are the challenges in India becoming a powerhouse while China sees a recession. Ratnesh Dwivedi spoke to four experts. Second in the series is his interaction with Sudhanshu Mittal. 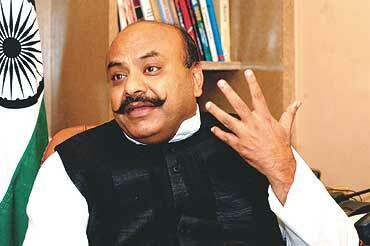 Sudhanshu Mittal is an Indian politician affiliated to the Bharatiya Janata Party (BJP). Born on 18 September 1959 in Delhi, he was in the 1979 batch of the St. Xavier’s School, Delhi. He completed his B. Com from the Sri Ram College of Commerce (1982 batch) and was President of the Delhi University Students Union. Later, he took admission in the law college but dropped to support a family business. In August 2013, Mittal resigned from the BJP’s election cell, citing personal reasons. He was a confidante of the late BJP leader Pramod Mahajan. 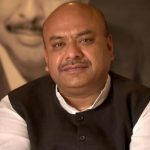 Although described as a top contender for the party’s Chandni Chowk parliament seat, Mittal did not run in the 2014 general elections. He is a prominent TV personality and spokesperson and talks extensively on political campaign strategy. 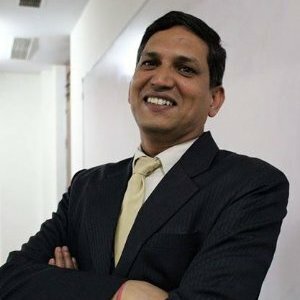 Ratnesh Dwivedi: What are the key areas of growth which you feel the Modi government is focusing on now? Sudhanshu Mittal: The Modi government has taken a very holistic approach as far as the Indian economy is concerned, first attracting foreign investment in key sectors in India by liberalising the route by allowing a greater percentage of participation, so the FDI has got a big boost. On the fundamental side of the economy, keeping the deficit under control so that inflation can be contained, has been a major achievement of this government. The deficit is at a record low which no government has been able to accomplish to date. Thirdly, the impetus on ‘Make in India‘ has basically led to greater industry productivity. There is more manufacturing, there is encouragement to the service industry,so basically the entire canvas of economic activity has been widened and this to my mind with sound economic fundamentals is the root cause of growth of 7.8 %, unprecedented right now in an international context. RD: In addition to this, what are the similarities and differences in the Indian and Chinese economy as far as product manufacturing and certain sectors like IT, Agriculture and other sectors are concerned? SM: The Chinese economy has a lot of subsidy—state subsidy, be it infrastructure cost, electricity cost, incidental costs, which are part of manufacturing costs, all are greatly subsidised. The interest is very low so the ingredients to cost of production has a lot of government support unlike India. In India there are no subsidies granted to Indian industry. However both economies are striving towards becoming giant economic powers through production and the service industry. We are aspiring to be the next producers rather than next consumers. That is the core fundamental difference between our economy and the Chinese economy. RD: What do you think the challenges are in the way of India achieving a double digit growth rate? I am talking about GDP. SM: I do not take figures in isolation. I always take figures in the context of what is happening worldwide. There is a worldwide recession, a melt down and gloomy picture. To then achieve 7.8 % GDP growth is monumental. Absolutely unparalleled, unbelievable and the moment the global scenario improves, it will have a transcending effect or spiral effect on the Indian growth story. Right now in these difficult circumstances India is doing phenomenally well. The moment international business becomes more positive and more growth oriented you will find that spiralling effect. RD: Both China and India are the fastest growing economies in the world. 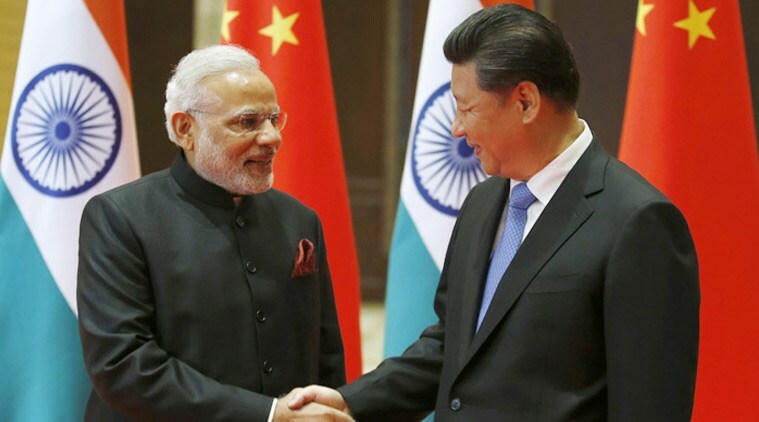 Do you think both together have the potential to shift the global power hub of economy and finance towards Asia? SM: It is happening. There is no denial of that for the simple reason that ten or twenty years ago nobody took us or China very seriously. But in the last twenty years both of us have come a long way and we were divided in developed and underdeveloped worlds. The physiology of developed countries and underdeveloped countries are no more relevant in the context of the economy today. 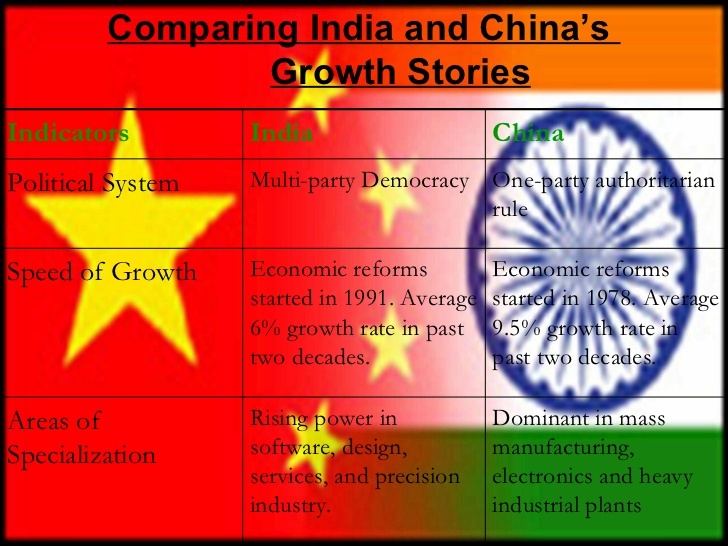 Today what India does and what China does are very relevant and very evaluating indexes. If you look at how the world economy has been performing, the whole of Europe is on the verge of collapse, England the less said the better. The economy the world over has been declining, so the growth story of both China and India have made the world economies look at India and China with astonishment. RD: Which country do you think could be a better ally of India: China or USA? SM: These are not mutually exclusive stories. As a rational economy we must all aspire to have multiple partners who are beneficial to our interests. So to the extent of our interest with China we must partner with them and to the extent of our interest with USA we will partner with them. I do not see that in context with economies that we must have prejudices. This is not very desirable for growth. RD: What are the major obstacles in the China-India Alliance in Asia, apart from border disputes? SM: Pakistan is a bone of contention. We have been facing terrorism, facing these challenges from Pakistan. And the support to Pakistan from China does become problematic. As you have seen in the context of Nuclear Supplier Group, the veto by China was something which was on its own but due to pressure from Pakistan. So that is problematic. The history of mutual mistrust post 1962 needs to be addressed more positively and instead of being adversaries we must be co authors to the history of growth. Sudhanshu started his political as well as business career at a very young age. A firm believer in bringing about social, political and economic change and blessed with a sharp political and administrative acumen he has time and again suggested workable solutions for the ills affecting our system. His multi-dimensional personality has enabled him to chart out his life successfully in many directions. As a political commentator he has been loyal to the BJP’s core ideology while providing his own inputs in the form of psephological expertise and providing key strategies for various elections happening in the country. His is a popular face on various political debates on National Television, blessed with strong articulation skills in both Hindi and English he can be seen defending and vociferously arguing in favor of his party and providing insight into wide ranging issues. Born in a business family with roots in Uttar Pradesh, he has lived in North Delhi, including Ashok Vihar and now stays in New Delhi. St.Xavier’s School was his Alma Matter and then he went on to complete his graduation from the prestigious Sri Ram College of Commerce, Delhi University. His foray into politics started in College and he went on to become the President of DUSU,during his stint he strived hard for educational reforms. He joined the Janta Vidhyarthi Morcha and then because of his dynamism was inducted to the State Executive of Delhi BJP, in 1984 he was made the President of JVM. Along with his political activities he was also managing his family business, the Delhi Tents and Decorators. There are many achievements associated with this venture, one of them being to provide logistics for the Oscar winning movie ‘Gandhi’. A chance meeting with Mr.Pramod Mahajan, who became his Marg Darshak made him a loyal soldier of the BJP. He worked within the BJP Organization to strengthen it. His phenomenal contribution has been in providing a database of voters from every nook & corner of the Country, along with providing electioneering a scientific basis through psephology and extensive research. Sudhanshu is generally perceived as one of the pioneers in the field of political Surveys and Opinion polls in the country, the first one to use large sample size for surveys so as to get accurate pesphological predictions and use Google mapping to map out the constituencies. He has mapped each and every village, tehsil, talukaand district in the Country along with its political and demographic history. This gigantic database along with his political analysis helps the BJP in electoral victory. Sudhanshu along with his various activities, is lover of arts, music and theatre. He has acted in many plays. A complete Man, he is a good son, brother, husband, father and a friend par excellence. A humanist he has always striven to make a difference to everything he comes across with his expertise, vision and humanity. Ratnesh Dwivedi transferred his skills of the Media Industry into his passion for writing, teaching and commenting on Global Affairs. He has seen the changing face of global politics as a budding media professional who regularly commented on the changing equation between the U.S., Middle East and South Asia. Later he continued his association as an Analyst and Researcher on Global Politics through his association as Charter Member of the Bush Presidential Center,Texas. Apart from his association with the Bush Center, Ratnesh Dwivedi is associated with several other organizations such as-ECREA-Brussels-Member, Institute of English Studies, University of London-Member, Mission Essential-Virginia-Member, Carnegie Council-Washington-Member, American Astronomical Society-Washington-Member, Internet Society-Virginia-Member, CSIS-PONI-Wshington-Member, RTDNA-Wshington-Member, NSTA-Virginia-Member. He has authoredfive books. The Story of an Intern-Reportage, The Cosmic Mask -Space Fiction. Third and fourth are awarded academic books. His fifth book on US Intelligence and Cost of War is released world wide on November 7,2015. Ratnesh Dwivedi bears the honor of attending several high rated workshops of NASA and continuously follows NASA updates since 2003. 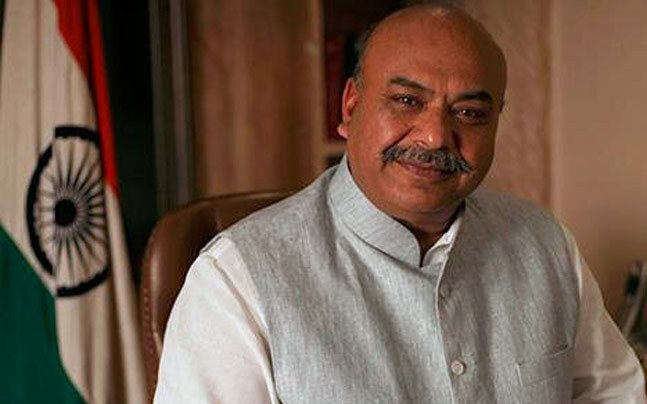 He has been associated with Amity University, where he led a project to set up Community Radio Station and TV Studio apart from his teaching assignment. He is a widely published academician in the field of Media and Communication with nearly 30 publications and presentation in countries like Russia, Ukraine, Kazakhstan, Germany, Slovinia, Czech, Britain, USA, Norway and India with nearly 10000 downloads, which itself is a record. He is Asst. Professor of Journalism at Teerthankar Mahaveer University in India.He is Consultant with EEUA, Moscow and a NJ, USA based Energy Firm. He is on Board of Directors and serves as VP-Global Media Marketing with Transitional Assistance, USA, which works for veterans of US Army. He lives in New Delhi with his wife and son.